Ideal for ultrabooks and laptops equipped with USB-C and without an Ethernet port. Enjoy fast and reliable wired Gigabit connectivity on your PC or Mac. Simply connect to an available USB Type-C port and it’s ready to use. Reduces power consumption when idle, during times of light traffic, or when the Ethernet cable is unplugged. Instantly add wired Gigabit connectivity to your computer. 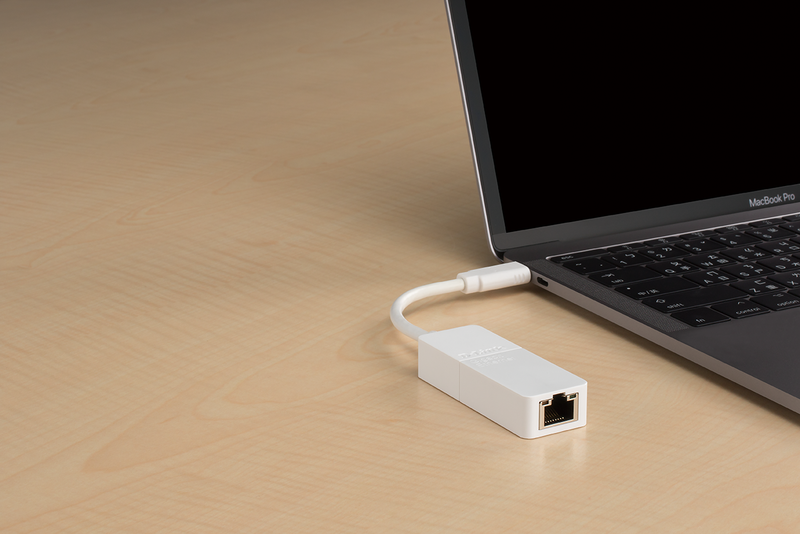 Just plug the DUB-E130 adapter into a USB type-C port and you’re ready to connect to your router, or network switch, with the speed and reliability of a wired Gigabit connection. The DUB-E130 adapter connects to your computer’s USB Type-C port. Plug and Play1 ensures there’s no need to change any configuration settings or install any software. The adapter's compact and sturdy design means you can easily slip it into your pocket or laptop bag and take it with you. Power to the adapter is provided directly by the USB Type-C port, so there’s no need for an external AC power adapter. It includes USB 3.0 power-saving features and also additional energy-saving technology to minimise power consumption when the device is idle, when network traffic is low, or when the Ethernet cable is unplugged. Useful in helping conserve battery life so you can keep working for longer without needing to recharge your laptop. If your computer supports a Wake-On-LAN function, the DUB-E130 adapter can be used to resume your computer from standby or be powered on via LAN. If you want to access your computer remotely, this feature allows you to regain access to your files and programs while keeping the computer in a low-power state to save energy. 1 Windows 8/10 and Mac OS 10.11.6 or above operating systems support plug-and-play functionality. Other operating systems may require software installation before the product can be used. Recent versions of Windows require users to confirm before automatic installation can begin.